The Sydney, Australia five-piece recently completed their maiden U.S. tour supporting Veil Of Maya across the entire country. Northlane will return to North America this February and March. 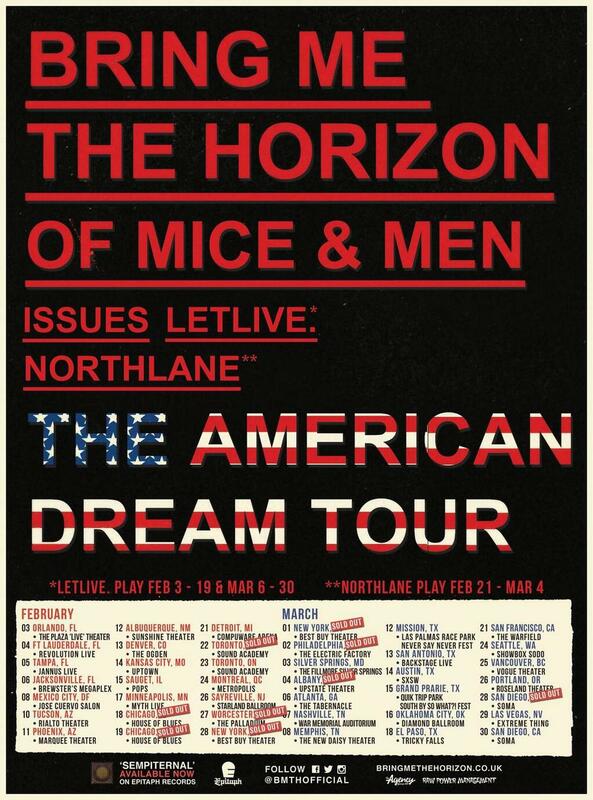 The group will first headline eleven dates from California to Cleveland, before supporting Bring Me The Horizon and Of Mice & Men in the Northeast on the American Dream Tour.